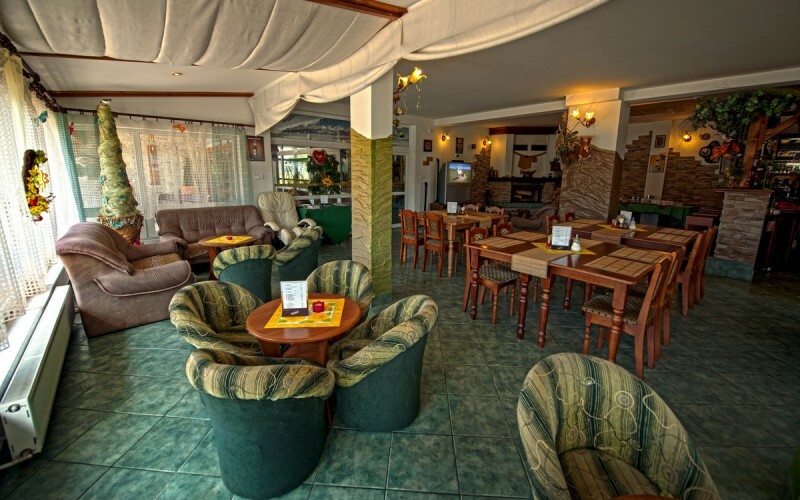 An own restaurant which is a part of Penzion U orla has capacity 40 seats and an outdoor terrace has additional capacity up to 60 seats. 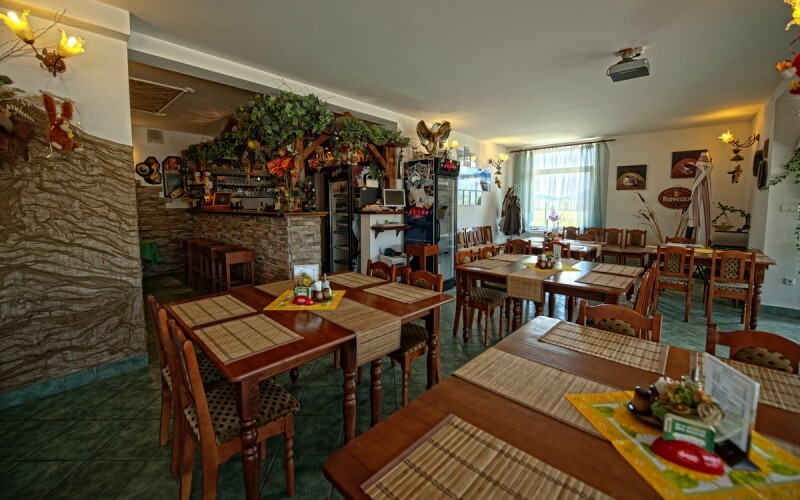 In our sunny restaurant located in south-facing part of Penzion we offer rich breakfast, lunches and dinners from home cuisine. This area is an ideal place to start a new day while enjoying the sunrise or the sound of wood crackling in the fireplace during cold winter days. 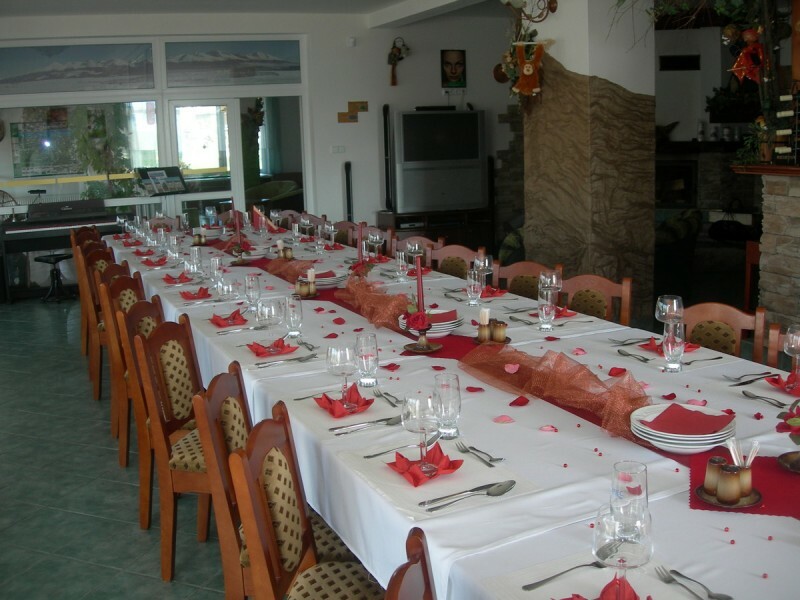 The restaurant with a terrace serves to our guests during their stay in our Penzion but there is, of course, possibility to utilize it for private events, family celebrations, weddings or firm events. 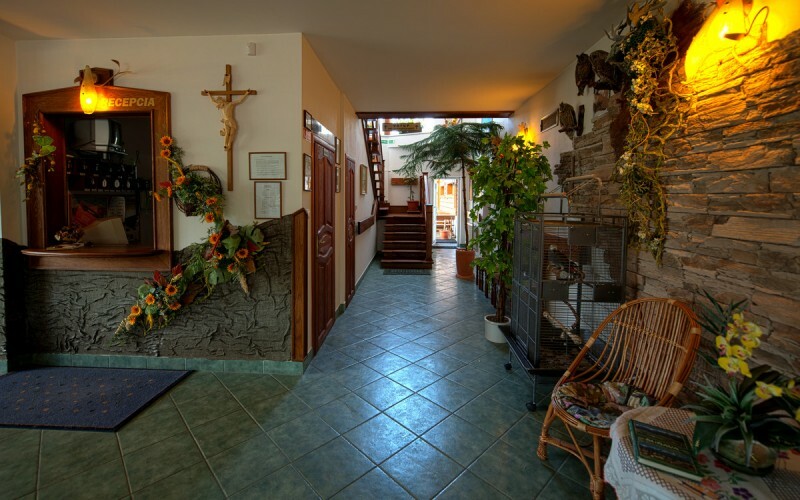 For those who prefer homelike ambient and, at the same time, want to enjoy their unique experience without any worries is our Penzion an ideal choice for celebrating your special events in the middle of Tatra landscape. In case of beforehand announced events we are able to secure full catering and other services in order to satisfy your needs and prepare an unforgettable event for you, your family, guests or colleagues.